Problema is a feature-length essay film initiated and produced by Mindpirates, directed by Ralf Schmerberg and hosted by Willem Dafoe and Hafsat Abiola. It features over one hundred international cultural experts sat together at the world’s largest round table discussion including Wim Wenders, Arundhati Roy, Bianca Jagger, Constantin von Barloewen, Yang Shaobin and Cornell West. Among the participants were academics, politicians, scientists, artists, activists, religious persons, and thinkers from over fifty nations engaging in thought-provoking dialogue about contemporary global dilemmas, asking questions about how we perceive the world around us; how the individual relates to the group, and what it means to be a human being in the 21st century. The film is set to a visual collage of cultural, historical, and socially engaging archival footage that encourages the audience to question their subject position in regards to global problems and their engagement with the global community. 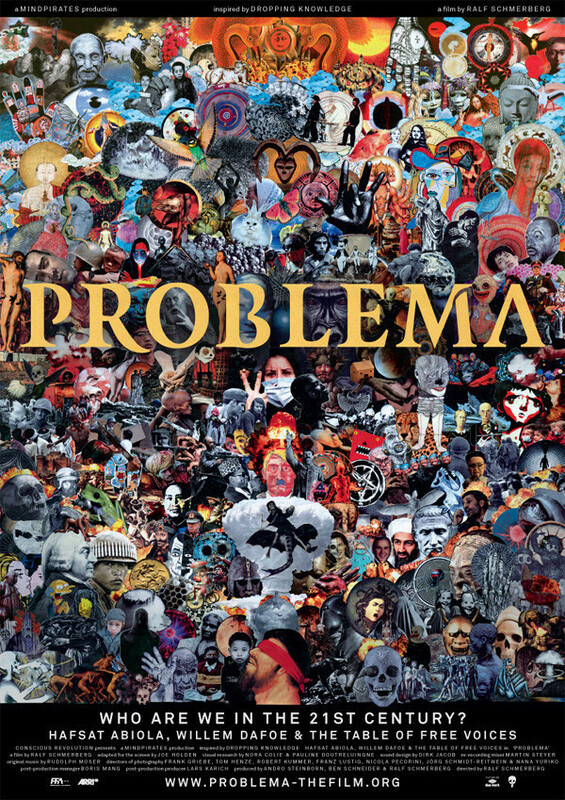 Problema is freely available to watch and to download online in a variety of extremely high quality files. To watch the film and learn more visit Problema-thefilm.org. Together with Nora Colie, I undertook the supervision of the visual research for this film, which included two years of work watching more than 800 documentaries, as well as securing image clearance rights for all included material. This project serves as the basis and inspiration for the subsequent establishment of the Mindpirates collective in 2010.